We hope you all enjoyed your valentine celebrations! 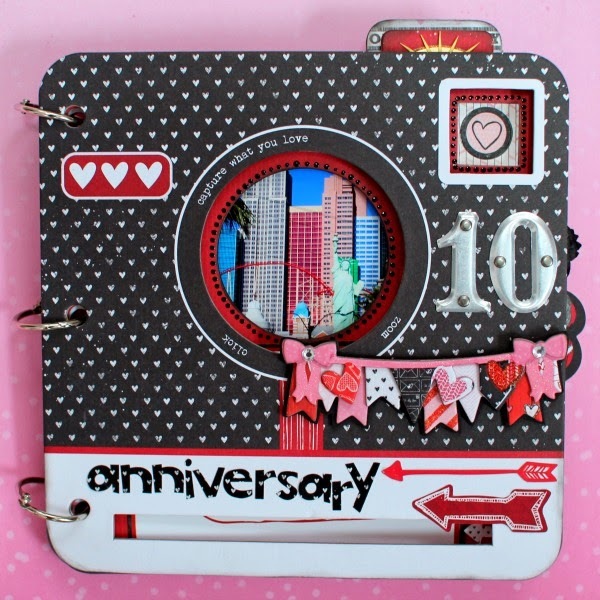 Are you looking for the perfect mini to scrap some of your most memorable memories with the ones you love? Check out the Head Over Heels Mini Album! I can't get enough of these pre-printed Bo Bunny mini albums! 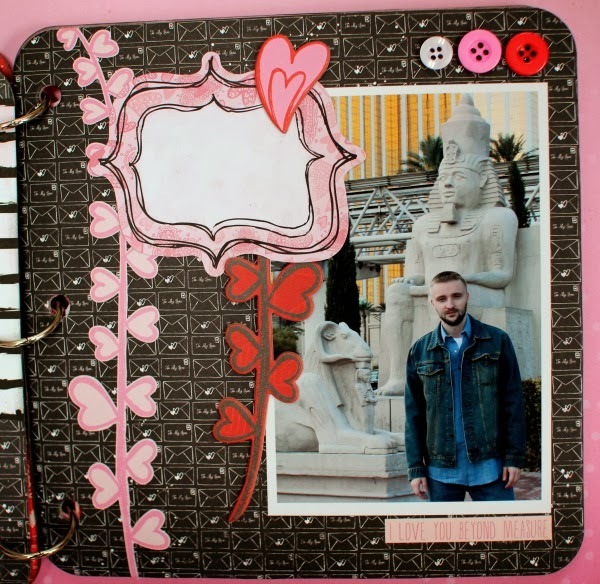 I've always loved to make mini's, but having the patterned paper already on the pages saves so much time. 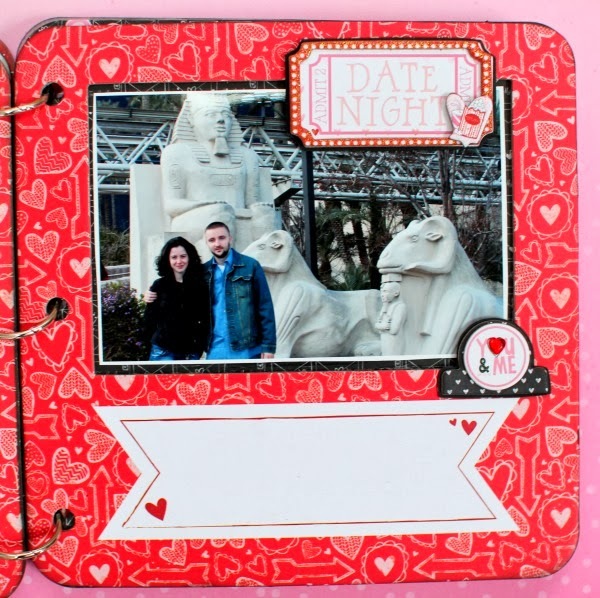 All you have to do is add photos and the funnest part - the embellishments! I thought this Head Over Heels mini would be perfect for pics of my husband and I on our 10th anniversary trip - to Vegas! The reds and blacks were perfect. But please don't ask how long ago this was... LOL (And yes, sometimes it takes me YEARS to find the perfect paper for a certain trip or photo I want to scrap). 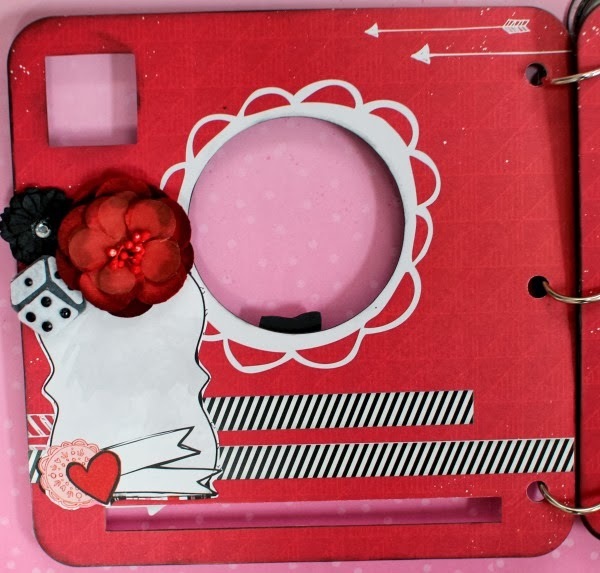 I love all the cut-outs this mini has, and different tabbed pages and windows - it really adds a lot of interest to the project. 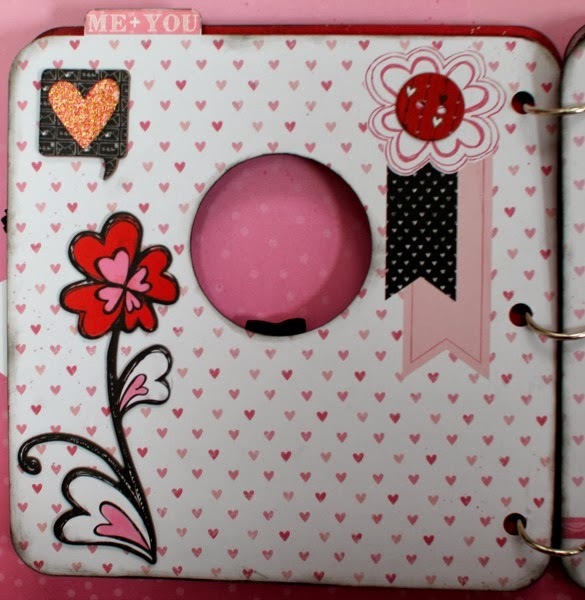 I also added a lot of journaling spots throughout the mini to write about our trip. As always, I inked the edges, this time in black chalk ink. 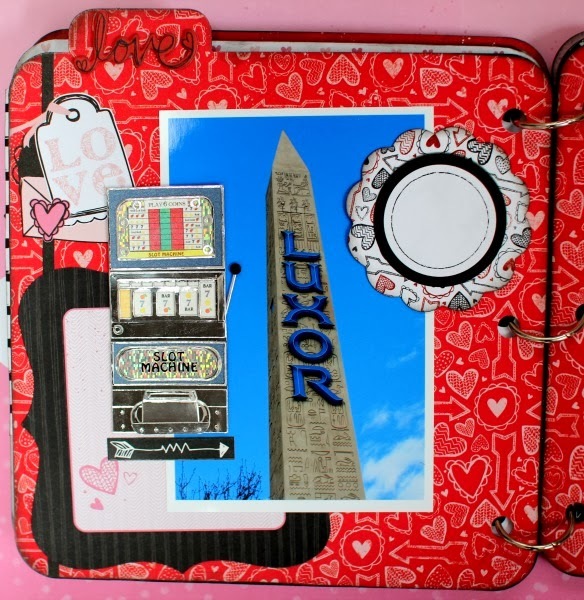 I also added some black dots around the 2 cut-out windows on this page, and covered the "flash" window with a cute sticker. 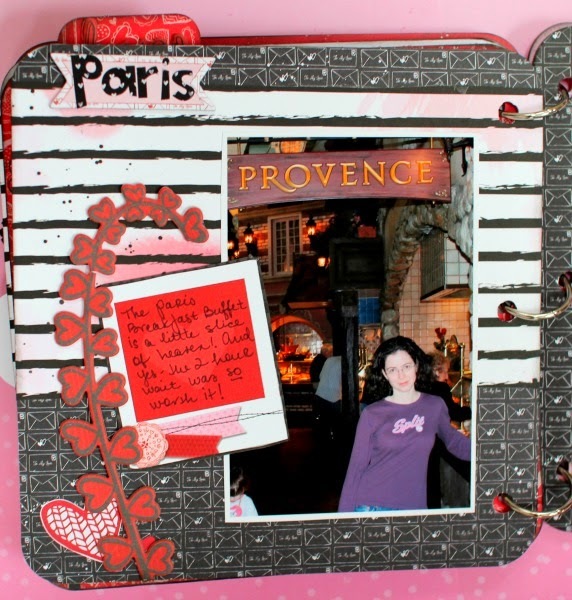 I love all the chipboard shapes - plain ones and the layered ones, and I used them throughout for the embellies. It's a beautiful mini album full of love :) I love it! What a beautiful album! I loved all the details and the fun photos! What a delightful mini album!